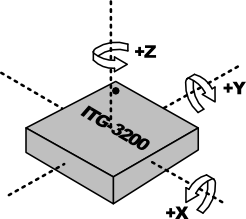 The ITG3200 is a 3 axis gyroscope. It is one of the components in the Aeroquad shield. Looking to buy or find the datasheet. Look here. 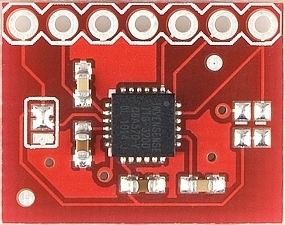 You can clearly see that the jumper connected to pin9 of the ITG3200 is connected to VDD which means the software should take the HIGH adress 0x69. 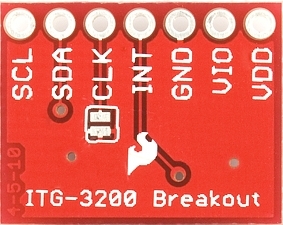 There are many libraries for the ITG3200. I found the best to be at Fabio Varesano’s site. Below you can see a short program which demonstrates the some of the capabilities of the ITG3200. 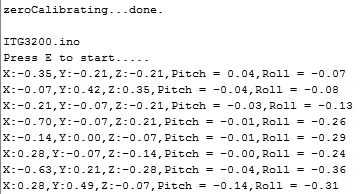 Here the Pitch and Roll angles are calculated. The screenshots are the ouput from the program. The first three colums are the calibrates values from the gyro in degrees per second. 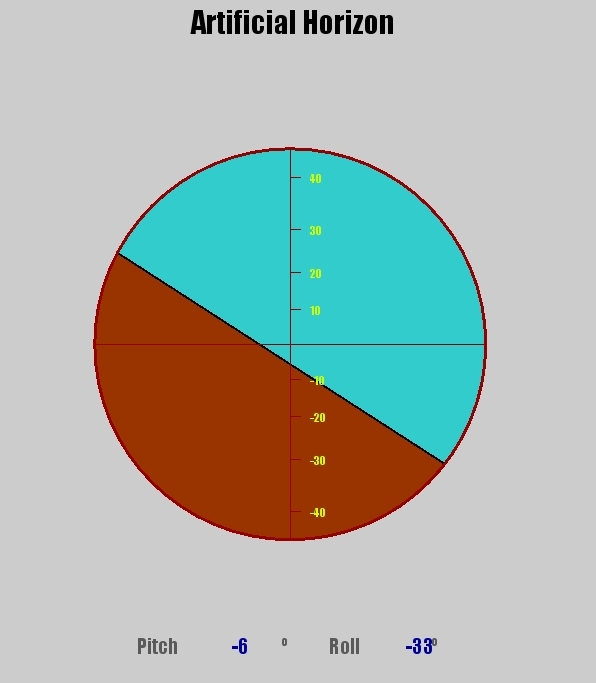 The last two are the Pitch and Roll angles in degrees. Over a short time period these are accurate but you can clearly see the drift which is typical in gyros. In only a few minutes the drift is already at 10 degrees for Roll and 11 degrees for Pitch and this with a stationary gyro. It means that you can not determine the exact angle of the gyro over a long period of time. This is the reason that gyros are often fused with accelerometers to get reliable data. You can download it this program from here. // Copyright 2010-2011 Filipe Vieira & various contributors. // Simple test of gyro sensors output using default settings. // please read class constructor comments for further info. timer = millis() - timer;          //how long did the loop take? You can use the same processing piece of code as with the BMA180 accelerometer to visualise the angles as an artificial horizon.